Buyers are self-directed and content can help satisfy their quest for answers and enable you to direct them to solutions for their business problems. The team at TopRank Marketing are experts in helping businesses like yours determine how to take your audience from prospects to buyers. Audits should be part of a quarterly or annual process for continuous program improvement. TopRank Marketing implements a three part framework: Discovery, assessment and recommendations to provide brands with a complete look at their content marketing efforts and find areas for improvement. An essential component to any marketing mix, a content marketing strategy should be developed based on business objectives and audience targeting. TopRank Marketing’s approach is focused on deploying integrated content tactics to create a meaningful and engaging experience for B2B and B2C audiences alike. Once a content marketing strategy has been developed, it is key to document a content plan that takes into account audience needs, keyword targets and topics that your brand would like to be the “best answer” for. 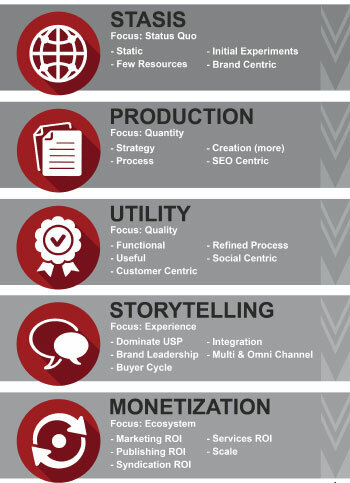 TopRank Marketing is focused on developing cohesive (yet agile) content plans and roadmaps to serve the needs of your target audience. Knowing that you need to create a quantity of quality content and having the resources in-house to execute in a meaningful way are often two different things. The experts at TopRank Marketing partner with your team to develop high-quality content to attract, engage and convert your audience. Sometimes it can be difficult to understand why your content is or isn’t performing. But the key to developing successful content is knowing why. TopRank Marketing takes a very data driven approach to content performance which enables us to uncover potential opportunities for improving content performance to improve readability, rankings and customer experience. Whether you are considering an integrated online marketing strategy or already have an established online audience, TopRank Marketing can help you create and promote digital content to better reach customers on the search and social web. Want to learn more about how you can make your content rock? Check out some of our recent projects or contact us today for your content marketing audit.